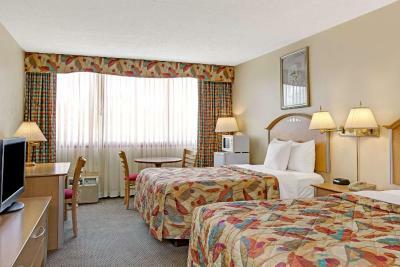 Lock in a great price for Days Hotel by Wyndham East Brunswick Conference Center – rated 8 by recent guests! We were constantly accused of smoking in our room, when we clearly were aware that the hotel is a non smoking hotel. I believe housekeeping was smoking during their rounds and blamed it on our room. Breakfast is really ordinary. You get what you pay for. Hotel was very clean and bed very comfortable. Price was very reasonable. 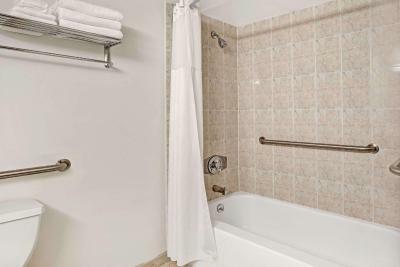 Cute rooms, free breakfast, heating/AC, amazing showers. Room was good. Please fix the water leak in bathroom faucet. 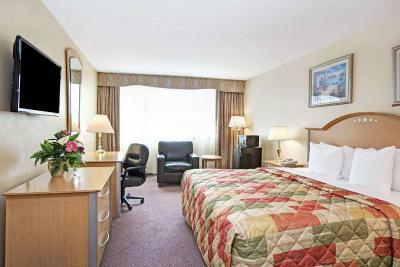 Comfortable clean room, friendly staff. We received a generous discount because of the location of our room, after we brought our concern to managements attention. As mentioned on the Days Inn site - I booked the hotel with my debit card and gave the Clerk my credit card to pay for the room and my debit card was used. I will have to check to make sure that my credit card was not also charged. And, upon our return to the hotel on Saturday evening, we did not have a parking place. Does this hotel not reserve parking for paying guests??? We were tired and the fact that it was around the corner from the exit of the NJ Tpke was appreciated. 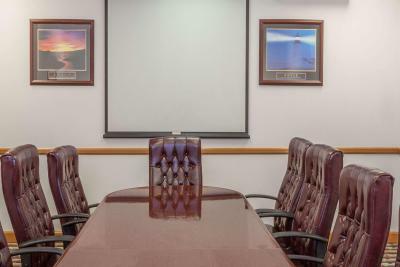 Days Hotel by Wyndham East Brunswick Conference Center This rating is a reflection of how the property compares to the industry standard when it comes to price, facilities and services available. It's based on a self-evaluation by the property. Use this rating to help choose your stay! 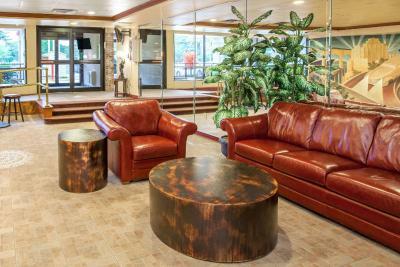 Located 3 miles from New Brunswick Amtrak, this New Jersey hotel offers accommodations with free Wi-Fi and cable TV with HBO. It features an on-site restaurant and gym. 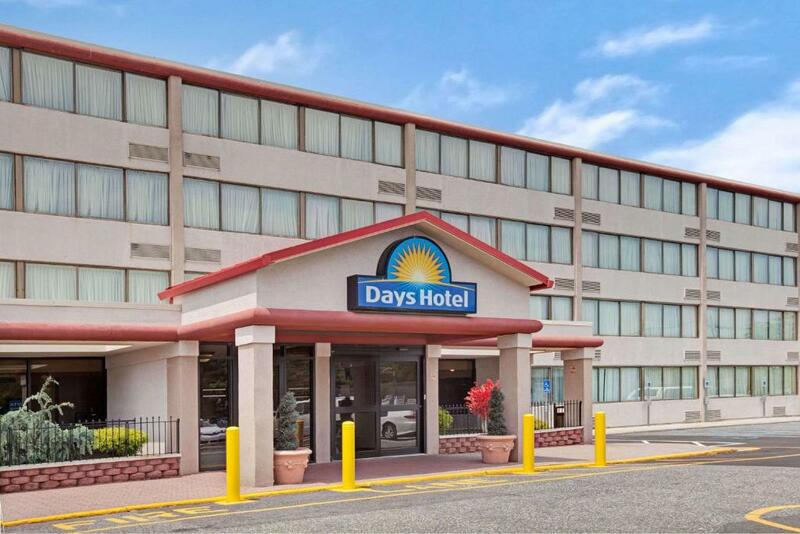 The spacious, traditional-style rooms at Days Hotel by Wyndham East Brunswick Conference Center have a microwave, refrigerator and coffee maker. Each room also includes a seating area. The hotel serves a continental breakfast. Guests can dine at the hotel’s restaurant and enjoy a cocktail at the bar. 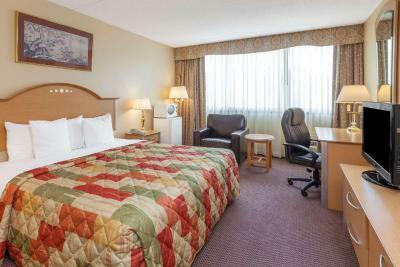 Days Hotel by Wyndham East Brunswick Conference Center is within a 10-minute drive of Rutgers University’s 3 campuses. 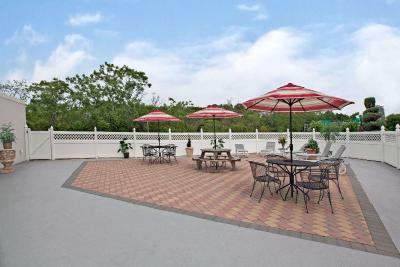 It is 10 miles from Old Bridge Township Raceway Park and 20 miles from Newark International Airport. 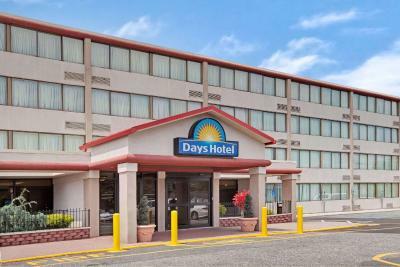 When would you like to stay at Days Hotel by Wyndham East Brunswick Conference Center? This double room has a flat-screen TV, spa bath and air conditioning. This double room has a microwave, tea/coffee maker and air conditioning. 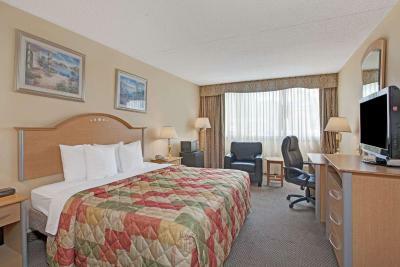 This suite features air conditioning, microwave and flat-screen TV. This air-conditioned room features a microwave, refrigerator, and tea- and coffee-making facilities as well as an iron and TV. 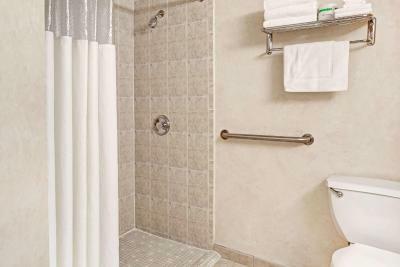 House Rules Days Hotel by Wyndham East Brunswick Conference Center takes special requests – add in the next step! Days Hotel by Wyndham East Brunswick Conference Center accepts these cards and reserves the right to temporarily hold an amount prior to arrival. The toilet in the room had a problem flushing. But the room was great. Well, the hotel is in the middle of the highway, and our room too! The person at the breakfast area this morning was very rude. It was pretty disappointing. If you don't care about the complimentary breakfast, this is an okay place to stay in. Breakfast items were very limited leaving a lot to be desired. We ate out every morning. wish there were more options at breakfast. I wanted to be near Rutgers so location was perfect. Bathroom was nice and clean. Dirty, old, no hot water, people smoking drugs, people having room parties. Hard sandpaper towels, ac/heater rattles. The location is a bit of a pain unless you have a car or an uber, then you are good to go. Location a bit ugly also, and exterior is a bit old. The 'on site restaurant' is a hooters bar. Basically a gentlemans bar/chicken restaurant. The other restaurants nearby especially the takeaways are pretty BAD. Very salty food especially the pizzerias. Best thing would be to take a cab or uber to Walmart, do a weekly shop and pack your fridge and use the microwave BUT! ther is no cutlery or mugs so take extra set at breakfast if you are gonna have Walmart microwaved dinner in your room! Also there are no mugs, kettles or coffee in the room so bring your own of all of these! Second time staying there, great stay, amazing staff, huge breakfast buffet, good computer 24 hour printing and internet, 24 hour reception. Alexis on reception was sooo cool. I had a court case and urgently was printing some docs and he helped me do it super fast . It also has laundry facility in basement and soap powder you can buy at reception desk. Everything you need right on site. 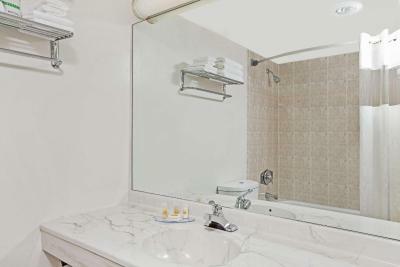 Nice hot baths and full size bathtub also; huge rooms; big desk; in room fridge and microwave. I love this place! Five stars. good price also. Close to Walmart and a few malls. Sink was clogged when I arrived. 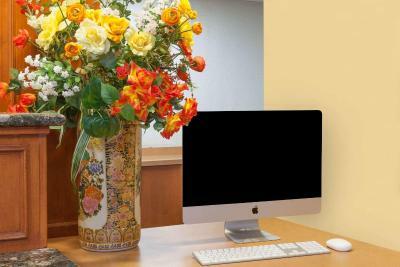 The guy at the front desk was slightly rude and indifferent.